The Bone Church is roughly an hour outside of Prague to the east, which was great for us since east is the general direction of Mongolia. The caravan now had about five cars, and once we finally reached the Bone Church we found a few other rally cars already parked outside. 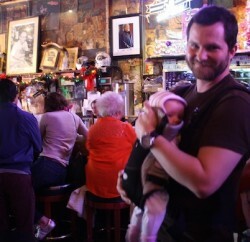 We paid our minimal sum to get in and then all stopped as our jaws dropped open. 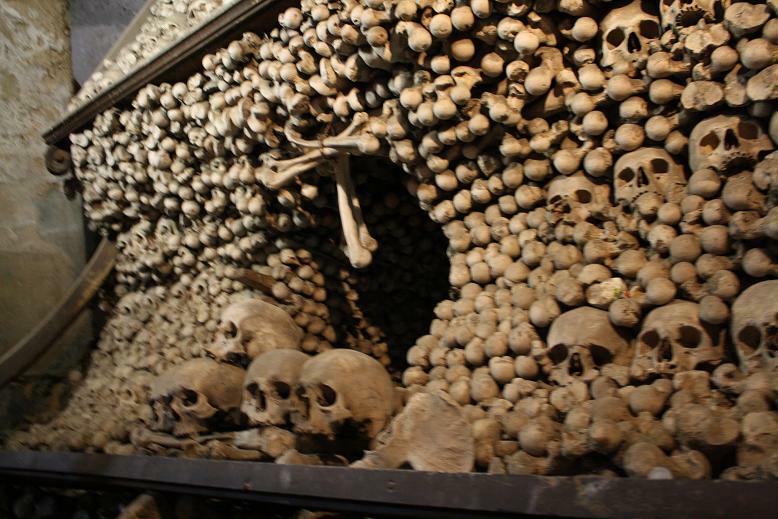 The bone church was erected prior to the black death (plague). As people were dying off at an extremely quick rate the general feeling towards death was altered to be a casual and inevitable occurrence. 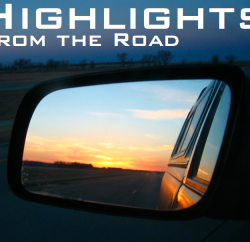 People started to think about their own deaths and what they wanted done with their bodies. Its all a bit morbid, really. Cemeteries were filling up quickly and there simply wasn’t room or time to deal with everyone. 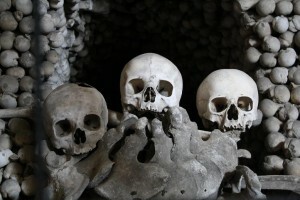 People paid to have their bodies kept in crypts under the churches, essentially mass graves in dark cellars. Long after the actual plague ended, a private family bought the church and discovered the crypt full of human bones. 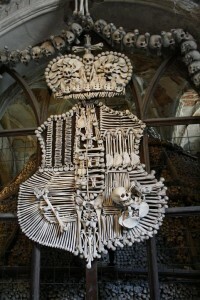 They hired a designer and allowed him to renovate the church using human bones as decoration. From the center of the room dangles a chandelier that the artist boasts has every bone in the human body. 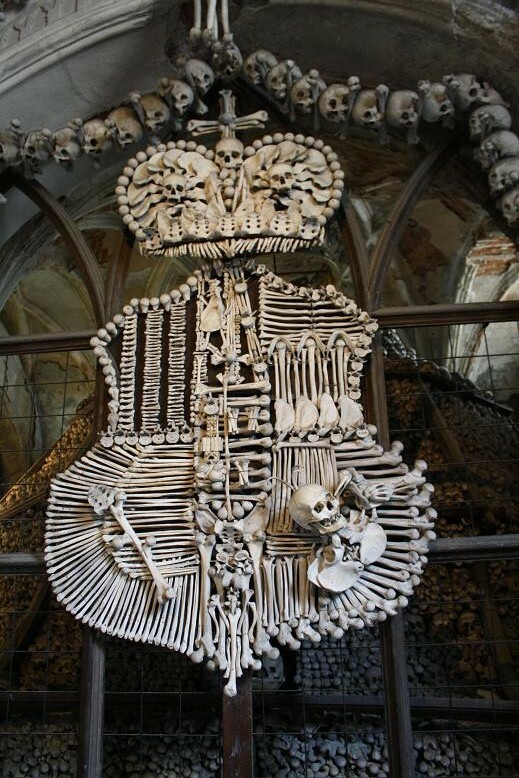 The family crest hangs on wall, made entirely of bones as well. Strings of bones, like one would make with popcorn for the Christmas tree, hung from the ceiling in all directions and in all four corners of the room stood huge piles of human skulls that were about nine feet tall and ten feet wide, and not hallow. The ralliers filled the church and started walking around quietly at first. Eventually, people just get used to being around strange things regardless of what they be. A room full of bones becomes simply the room you happen to be standing in at that moment and ralliers gathered in small groups to talk about their routes, or tell stories about what had happened to far to them on the trip. At one point I watched a young woman not associated with the rally put her finger into an eye socket while her friend took her picture. Later, one of the ralliers said it was hard for him to imagine they were ever real people, which explained why he could take pictures of himself smiling in front of a pile of skulls. Humans are a strange animal. After the bone church we stopped at a local supermarket to fill up the trunk with food for the long haul ahead. One of my favorite things about traveling is shopping for food in foreign countries. Whole chicken heads in a jar, or even boiled eggs mixed with mostly-developed chicken fetus line the shelves in some places we’ve shopped. Czech had fairly normal food, but it was still fun to look around. I bought a tub of meat paste which ended up being gross (who knew?) while most people bought ramen, soda and water. 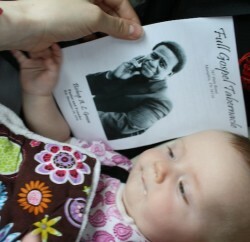 It was a strange thing for the teller to see a whole row of dusty, disgusting ralliers holding food like precious cargo. We set off with two other cars in convoy to Vienna, having said our goodbyes to the Aussies and a few others. Interesting! 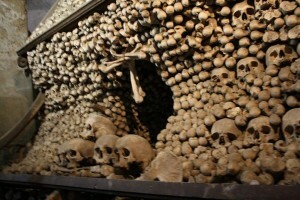 We have visited the catacombs in Paris. Its a bit creepy being surrounded by so many bones. It definitely is weird imagining who the people once were!